Ridley Scott’s first film of the 1980s didn’t do well at the time, but 1982’s Blade Runner eventually became regarded as a classic. The same fate failed to befall Scott’s work for the rest of the decade, though. 1985’s Legend bombed in all possible ways, and 1987’s Someone to Watch Over Me also couldn’t locate an audience. 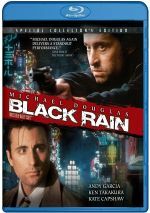 At least 1989’s decade-closing Black Rain turned a decent profit and pointed Scott toward better days ahead. 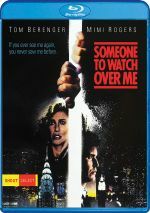 At the start of Watch, NYC cop Mike Keegan (Tom Berenger) gets promoted to detective. Roughly simultaneously, socialite Claire Gregory (Mimi Rogers) sees a murder committed by noted mobster Joey Venza (Andreas Katsulas). To retain this witness, Keegan receives the “night shift” assignment to guard Claire. This leads the married Keegan into a powerful obsession with Claire as he also attempts to keep her alive. Given that he long ago reached “living legend” status, it becomes difficult to remember how Scott’s career declined as I mentioned earlier. At one point, it seemed fair to view him as a one-hit wonder since Blade Runner, Legend< and Watch all faltered at the box office. While Blade Runner deserved a better commercial fate, I can’t fault audiences who skipped the flawed Legend. I also don’t think Watch exists as a lost classic, for it presents a surprisingly limp experience. For a romantic thriller, Watch rarely seems particularly romantic or thrilling. It takes a fairly long span to establish the connection between Mike and Claire, and when they do get together, they fail to form much chemistry or sizzle. Not that Berenger or Rogers do poorly in their roles, as they seem competent. However, neither adds much real life to their parts, and they don’t turn into a couple with sexual charisma. The story doesn’t help matters, as Watch progresses slowly and lacks compelling characters or situations much of the time. Every once in a while, the movie remembers its basic plot and throws out some menace, but these moments appear infrequently. Instead, we find ourselves stuck with seemingly incessant moments of characters as they mope. Everyone here seems like they need anti-depression medications, and their generally morose demeanors sink much of the story’s potential momentum. Scott directs much of Watch in the style of the era’s beer commercials, so expect a highly glossy affair. Even when the film needs to seem gritty, it still looks pretty and flashy, a mistake for a tale that needs more heart and depth. Too much of Watch feels like a really long 80s beer commercial. Ultimately, the biggest sin of Watch comes from the boredom it inspires. The movie stretches across 106 minutes in a slow, sluggish manner that makes it a chore to view. Someone to Watch Over Me appears in an aspect ratio of approximately 1.85:1 on this Blu-ray Disc. Late 80s flicks often don’t look too hot, but this one held up pretty well. Sharpness worked fine. Interiors tended to seem a little soft, but in general, delineation seemed fine, with good accuracy most of the time. I saw no issues with jagged edges or shimmering, and both edge haloes and print flaws remained absent. With a palette that emphasized a mix of brown and orange, the movie presented mostly solid hues. While I can’t claim the colors jumped off the screen, they seemed well-rendered overall. Blacks seemed deep and dark, and shadows displayed nice smoothness and detail. Though the movie showed its age to a degree, it offered a pleasing image. Music showed good stereo presence, and the channels contributed reasonable engagement to the side. Nothing excelled, but the soundscape gave us a bit of breadth. Only minor extras appear here, and we find an interview with writer Howard Franklin. In this 10-minute, 41-second piece, Franklin discusses the project’s genesis and development, story/characters, Ridley Scott’s approach to the material, the title song, casting, and the movie’s release/reception. Franklin gives us a nice look at those topics. He seems frank and engaging, so he offers a fine view of the movie, even if I wish the chat ran longer. An Interview with Director of Photography Steven Poster fills 14 minutes, four seconds and covers his work on the film and his collaboration with Scott. Poster covers the subject matter in a worthwhile manner. A largely forgotten Ridley Scott flop, Someone to Watch Over Me doesn’t hold up well over the years. Sluggish and uninspired, the movie lacks the charge it needs to succeed. The Blu-ray comes with fairly positive picture and audio along with two interesting interviews. Watch becomes a surprisingly dull effort.